Fans have been waiting 12 months for it to come round, but next weekend Butlins Minehead will once again play host to its much anticipated House of Fun Weekender. This year, Madness will kick off proceedings with the “Lucky Bag” set on the Friday night. The entertainment line up is a packed one so to make things easier this issue contains a complete guide to what’s on. This information has also been published across the band’s social media and the phone companion app..
Last week we mentioned Culture Vulture was flapping its wings again in new album work/ Butlins set rehearsals. We’ve since learned that it hasn’t fared well as a carcass to pick any bones from as in the last few days the latest news to reach us is that the song has been put down again. Oh well. It had already fed drippy Fred its tastiest parts anyway! Keep your eyes open for some news this week though… The Sound of Madness tour is nearing sell out in many of its venues… Brighton, Reading and Hull have been sold out for a while… Ticketmaster is reporting 1% remaining on some of the dates, with many having sold out standing and specialist ticket types too… something else is getting revealed soon so you may even see a mid-week MIS before those of you attending the House of Fun reach the resorts gates. And finally… to get you in the mood for the journey to Minehead, the next chapter in the Madness story is now live at the always excellent Seven Ragged Men website. Settle back for the full story of 2009, including a behind-the-curtain peek at Norton Folgate and a blow-by-blow account (literally) of the day Oasis split up, allowing Madness to play the same gig twice in one day. There are just 3 days left of our massive clear out and this weekend we have added a further 50 items to our Minehead store page. At the bottom of the page listed in size order are now 30 different brand new official T shirts at just £5 each!!! What’s more, buy 10x T shirts and we will give you another 2 of your choice free of charge! The majority of the shirts are size Small and Medium. You must pre-order through the website before Thursday and collect at Minehead, we will be taking very few spare items with us. We have also now re-opened the rest of the website, in case there is anything else you want to buy to collect at Minehead or to have posted. You will find all of the pages of the usual website from the drop down bar that appears when you click on ‘All Other Madness Items’. For people collecting items from us at Minehead there is no minimum or maximum spend, prices start from £2. At midnight on Wednesday 28th November we will be closing all of these pages on our website and ending all 1000 of our ebay listings and none of these items will be available from us again until next year. So if you are looking to buy items before Christmas you have just 3 days left! Black Friday is here get 30% OFF across the entire store (excluding music)! Black Friday is here. Get 30% off across the entire store (excluding music)! Enter code “BLACKFRIDAY” @ checkout to redeem discount. As many of you were still at this 2013’s Madness Weekender in Mineheard, it wouldn’t be until Monday until you read this issue. For the rest of you, this would have possibly been your first chance to get a small glimpse detailing some of what you’d missed. With the Madness Weekender pretty much over it did only leave one more Madness gig of 2013 remaining. This final blast of the sax would see the band perform in Dublin on new year’s eve. 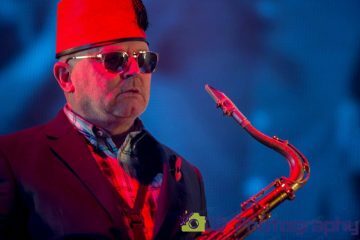 This week we also learned that using the powers of teleportation (or pre-recording the whole show long before the big night) Lee Thompson and his Ska Orchestra would be appearing on BBC 1 on new year’s eve as part of Jools Holland’s Hootenanny. This should have meant that even if you weren’t willing or able to see the band perform in Dublin, as long as you could pick up BBC TV you should have been able to see out the year with some fantastic music. 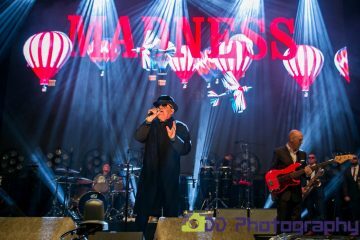 Our MIS Feature this week was the coverage so far of the Madness Minehead Weekender. Thanks to the efforts of Jonathan Young and Graham Yates we had a detailed lowdown of what went on during the three day event, which would only be surpassed by what was to come in the following issue. On to Sign of the Times, and this was a mammoth section courtesy of Daren West for his review of seeing Suggs at The Stratford Cirus Theatre Square and to Mark Bryant for his write up of the recent Lee Thompson Ska Orchestra gig held at the Jazz Cafe at Halloween. We brought this issue to a close with the news that Suggs’ appearance of An Animal Adventure With Suggs had finally been uploaded to YouTube by Fiona Linnell. It’d been months, nay, YEARS in the making, but this weekend finally saw the dust sheets come off the Madness Central web site, and it was now alive and kicking and fully up and running. A collaboration between members of the MTR and readers of the MIS, it’d pulled in a whole host of people from various corners of the online Madness fanbase to produce what could only be described as the ultimate online Madness resource. From those early days back in 1994/1995 when the internet played host to a simple single page devoted to the band, it was amazing just how far things had come. So, with that introduction it would come as no surprise that we began our articles with an in-depth look of the Madness Central web site. 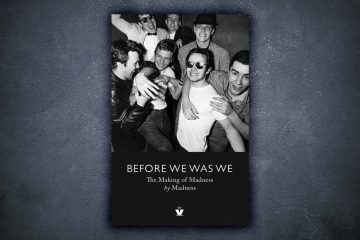 It was over to Tour Madness next, as we reported that the fan-produced Madness tour diary was about to go online, meaning that all dates from 1977 to 1986 would be available for all to view. “Tour Madness: The Madness Concert Documentary, covers over 30 years of ‘nutty’ behaviour through live-performances in and outside Madness, onstage collaborations with other artists, radio-sessions and television appearances. Where possible the entries feature attendance-figures, support acts, festival line-ups, set lists and set alterations at any succeeding concert in a tour. “Having read these boards during the last week of the tour can I just say how much I appreciate everyone bothering to take the time to write. I am hugely proud of this show, as are the band and all the creative team. The cast – for so many of whom this was their first ever show – have been unstinting in their energy, and I’m so happy that so many of you have acknowledged this. We went back to the subject of new web sites next, and this time we looked at Chris Carter-Pegg’s discography listings. Chris’ plan was to cover every single official Madness release, and he asked that if you had something not present in the list to let him know so that it could be added in the next update. Moving on, and we ran with an article by the name of “Abstracted Lyrics”. This investigated the use of the phrase “Anstracted air” in Madness songs. After some investigation by Jonathan Young and Graham Yates, the phrase was found in Jack of The Green, The Invisible Man, The Liberty of Norton Folgate and Sing. We brought this issue to a close with the news that following the success of “Suggs’ Italian Job” Wavelength Films would be filming another series with our favourite frontman. Unfortunately this was all the news we had to go on at present, but we promised to keep you posted. We started off this week’s issue with a heads-up for all Bristol based Maddies. News had reached us revealing that South West Madness tribute One Step Below, would be performing at Fiddlers, in Bedminster, Bristol. Tickets were a very reasonable £6.00, and the entry price also included a support band – `Who’s Next`, a tribute to The Who. Moving on, and we were contacted by a certain Dan Fossard, of London’s MOT, who informed us that the band had recently been to Woody’s studio, busy putting the finishing touches to 5 new recordings. Also, the band would next be performing at The Mean Fiddler on Saturday 29th November. Regular contributor to the MIS, Chris Wardell got in touch with news of a side project of his very own. With a new music venue due to open in Darlington in early 2004 Chris, explained that he’d been asked by the manager to look after the “ska side of things”. 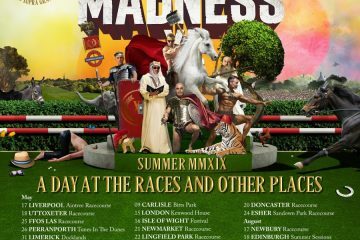 With new appointment Chris was keen to hear from Madness tribute outfits and ska bands in general who were interested in performing at the venue. As this was the week that saw the third part in Jools Holland’s series of albums that feature his Big Band, with added special guest vocalists (and added marketing value! 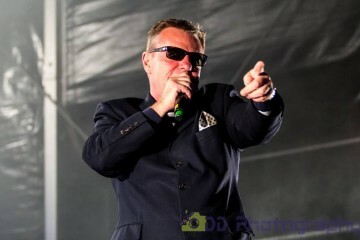 ), Jonathan knocked up a comprehensive review of one of the tracks – Jack O The Green, which featured the one and only Suggs. “The song concerns the coming of the green man, a mythical english spirit of nature. It’s quite an upbeat song with some odd sequeways into a different traditional spring anthem tune. Elsewhere, and it seemed that Bedders had returned from travelling. 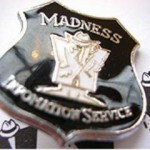 Well, according to his section of the official Madness web site he’d been travelling in his mind! “Space travel is going to be a thing of the past. The future is MIND TRAVEL. Forget missions to Mars; forget billion dollar budgets; and most of all, forget sitting in a tin can for 6 months reading back issues of ‘Hello’ magazine and wondering if you are going to win the ‘I Shagged in Space’ prize, as offered by The Sun newspaper. We had absolutely no idea what on earth Mark was going on about, but it certainly raised a few smiles. This issue of the MIS finished off with a full transcription of the Jack O The Green lyrics. 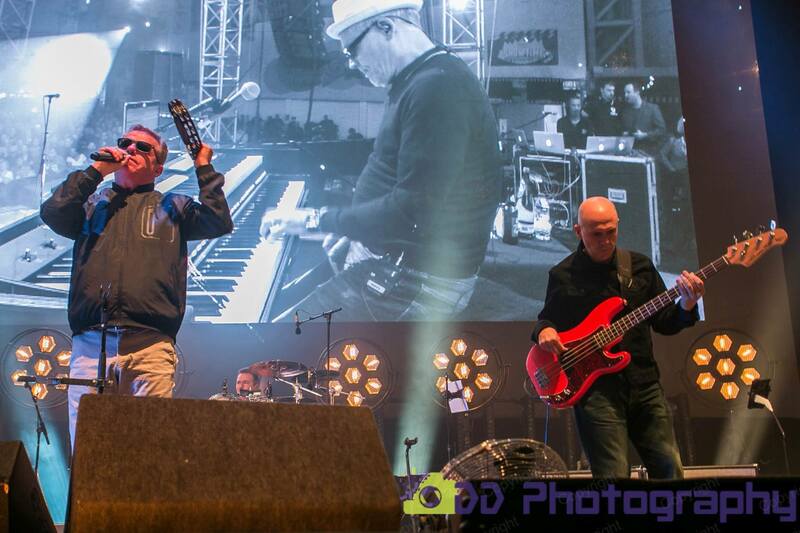 It’s just 5 days until Madness’ big event of this year, and the start of The sound of Madness Tour. Who’s on at this years House of Fun weekender? Here’s our full preview of this year’s 8th round of entertainments. It’s another packed year for all you attending funsters. It’s Christmassssss proclaims this years weekender poster, and Friday night Madness promises a Christmas Tune or two. This years event nudges us into advent and the Christmas Tour. Slade? Wizard? Carol’s on 45? It’s Santa carrying the lucky bag set of rarities including at least one track chosen from fan suggestions made online this year too. Expect a sequel to last years delights that bought us fresh covers, returning invaders tunes, Bsides, album track selections and box set rarities in rare live outings. A unique present for all the boys and girls attending Minehead. Saturday Night the Pavillion is alive with The Sound of Madness as the hit laden set for this years touring takes shape. Do rey me so far la tee m.a.d! 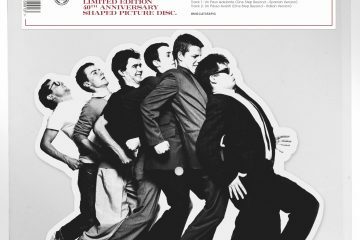 Last chance to dance the whole of December before Madness turn Middle aged as a band for next years 40th! We are “In the Summertime” in December in Minehead? The hit 70’s band headline centre stage at the weekender. Fronted by original singer Ray Dorset. The soft rock folk band have had 9 chart singles in the uk also including number 1 “Baby Jump” and top 10’s “Lady Rose”, “Alright, Alright, Alright” & a cover of “Knocking on heavens door”. 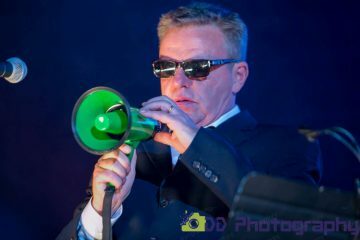 Expect Suggs to pop up with another of his 70’s favourite act’s that the weekender has chosen to showcase. Solo singer songwriter and member of Squeeze the third big name on the bill this year entertains us Sunday evening. A previous collaborator with Suggs at the huntsam court music week, Chris is joined by fellow song smith and comedian Boo Herwidine (Also a Suggs colaborator, he wrote “Invisible Man” on the 3 pyramids club). Chris is also the curator of Songs in the key of London at the Barbican which Suggs, Chas and Jools Holland have all been a part of. 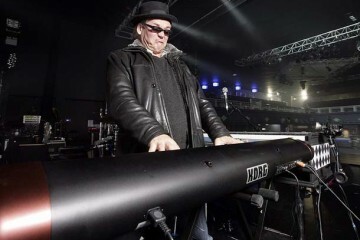 Expect Squeeze hits, “Up the Junction”, “Cool for cats”, “Slap and tickle” might make an appearance and solo songs too, with stories and anecdotes from live on the road with bands. Starvation. Zarjazz! The Pioneers have been added to the bill late on, we think sadly the news is that Horace Andy is no longer available from the previous posters as he and Dub Asante’ are no longer app listed. Great though that these original reggae hero’s and clearly an equal in inspiration to Madness will be appearing primetime Sunday night, what a great vibe to end the live bands on at HOF this year, we are delighted and really looking forward to seeing them. 60’s Rhythm and Blues singer still bustin out tunes in his 70s. He’s delighted crowds at many a House of fun weekender. From “Oh Pretty Woman” to “Proud Mary” and “Baby Come back”, Geno’s powerful voice will move your Soul. Jamacian legend, producer of The Dangermen album. Dennis returns to HOF Once again with the deep dub grooves. Known as the queen of lovers rock movement. Carroll had 70’s hits with “I’m so sorry” and “Simply in love” singles in the uk. “Silly Games.” is Janet’s famous hit she even fronted Madness for a rendition of this tune at 2017’s House of common. Chip off the old block Daley Thompson now has an album under his belt. Lee Thompson will guest. The silencerz have about 10 original tunes now, and released the album Better Days earlier this year. Also expect a mix of 70s pop covers from Sensational Alex Harvey, The Beatles, Paul Simon and 60’s ska and reggae heroes. Regular attendee’s now of The House of Fun, seeking to bring you salvation with gospel inspired audience participation comedy and music sending up the “praise be” American evangelism approach to religion, perverted through showbiz glam. Reggae and RnB singer, the smooth voiced son of Anton Ellis. A singer with soulful tones. Female singer featured with The Happy Mondays, will be joining Bez during his DJ set for some live tracks. Hailing from the south west, and recieving a lot of Radio two airplay, this ska band we previewed in full last issue. They are returning with a new album since their first HOF show two years ago. Have supported Madness on numerous ocassions in the last decade. A modern ska band of fine reputation. The arrival of the debut album “Weapon of Choice” is now imminent for this 9 peice regenerational ska band. full at The Dublin Castle earlier this year. Their remixed single Dutty Mouth is out now and signed to Animal Farm their debut album is taking a little longer to perfect and release in early 2019. Crowd Pleasing vetran’s of now 6 weekenders. 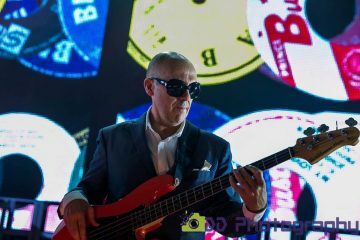 Tony Bass and the boys are back to fill the main arena on Saturday afternoon again with ska soul and reggae tunes you know and love from Bad Manners, Toots, Two Tone, from 60’s to 80’s gems, in their own bouncy produced garnish of a band thats been honed over decades as a professional outfit. The S K A-Team. Smiling makes the day go better, sing Tankus. You weekender will go better for seeing them their carnival spirit will lift you into Saturday. See last weeks issue for our full band preview and their second album lands this week at the sold out 100club. Five piece ska reggae dub band based out of Bristol and just two years old as a unit. Upbeat party ska from the winners of the 2016 convent band awards. The have supported The Beat to great acclaim, and appeared at Boom town. Seasoaked gypsy folk band from Dublin. Following in that modern trend for bands with a voice of now appearing at the Madness weekender, (think Gorgeous George meets the Pogues then) and here is something to freshen your pallet if for your tastes the music has been too ska until now. From “Life line” to “She’s so Spector-esque” you may know some tunes from Andy’s solo work now appearing in full live band renditions. Often spun on the Koast train. Andy joined us for our first jaks show in 2013 at MIS. D.M. Street have been appearing in Cornwall and the south west at festivals and local haunts now for two years. Plus Andy will be DJing tracks from forth coming album Puppet Life at 11.30pm including exclusive spell binding new paino lead tune The Ballad of Gilbert Goode. Legendary party man from The Happy Mondays, bringing the rave, step on in Reds. That Famous Reggea DJ bloke who was at House of Common and has done HOF before, and looks a bit like Phil Silvers. Welcome to The House of Fun loving criminals. Alternative DJ sounds from The Man. Jamacian Dancehall sounds with a London twist. On U sound’s king of Dub DJ. Original 70’s Reggae DJ, playing from vinyl. From the Camden Record club, an additional DJ joins the line up, returning to the fold. DARREN BENNETT (Friday – 7.15pm – Pavillion. Warm up man for countless Madness tours, Darren has an ecyclopedia of skinhead 45’s as well as well chosen set of tunes that gets a Madness crowd in the perfect mood. Female fronted vocals of spun ska and reggea 45s. 8 years the bright jacketed all round entertainer, closing out Sunday and popping up before bands Saturday, with a grin and an upbeat attitude perfect for the butlins bubble. Wedofunk DJ of Ska to hip hop. Known to silencerz fan’s as a local Barnet DJ of 60’s ska and 70s popular music, he’s the host DJ either side or their show in Reds. Crunch! band website collaborator and MIS host DJ here for 3 sets over the weekend. Nutty sounds, exclusives, and pop to ska. No sharks. honest. the water is safe. Amity island welcomes swimmers, with buskers from The launchers, and DJ Swanny play two hours of Madness album tracks, crunch! sounds and more. Definately no sharks. who said there was a shark? not us. to Backstreet proliferate many a Madness fan’s collection apparently and it’s time to admit that fact and give rise to it, in the small of the late night last orders. God help us. The band host an xfactor style contest meets butlins konbbly knees days as the chalet attending fans take the spot light for a Madness prize. Recently remastered and released DVD the complete BBC Years of The Goodies, is out now from Network. We are showing episodes inspired by Saturday Night Fever, Grease, Jaws, Planet of the Apes, Buggs Bunny and Clockwork Orange. From Mid day Saturday morning. One Mans Madness. 1pm showing Sunday of Thommo’s Film with DVD signing. Note. REECE – Sadly the late announced return of Darren Fordham’s band doesnt now appear to be happening, due to band member availability is the rumour. Shame. Suggs has slammed Spice Girls for their vocals at the 2012 Olympic closing ceremony. The Madness star has recalled the moment he heard the iconic girl group – who are reuniting as a four piece for a UK stadium tour in 2019 – going through their warm-ups for their initial comeback six years ago. Speaking at the Nordoff Robbins Boxing Dinner earlier this week, he’s quoted by The Sun newspaper’s Bizarre column as saying: “I was on the back of this truck. “In front of me are The Who. To my right are some spotty herberts called One Direction. Behind us are the Spice Girls doing some vocal warm ups… F***ing hell. The full article can be found at the above link. Domestic violence victims could seek help at former jail, says Madness singer. All being well, and if Jonathan takes a break from his partying, we ‘may’ have portions of next week’s content direct from the House of Fun Weekender. If you’re one of the many people attending the event then please feel free to send in snippets (long or short) during the course of the weekend and we’ll include it in Sunday’s issue. Those of you travelling down to Minehead; take care and have fun!